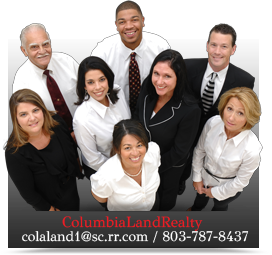 As a company, ColumbiaLandRealty believes the key to providing excellent service and results is "Commitment, Integrity, Energy, Experience…"
Commitment ~ They are committed to providing one of a kind service, finding the perfect home in the perfect area, and getting their homes sold and/or leased in the quickest amount of time for the highest possible price. Integrity ~ They possess a strict moral drive, both personally and professionally, doing what’s right at all times. They are passionate about their profession and the experience each client has. Their work ethic is unstoppable and unmatched! Constant communication, a solid marketing plan and exposure is key to a successful transaction. Energy ~ Their energy is second to none, both physically and mentally. Surrounding your transaction with positive energy and constant attention around the clock assures clients they can rest easy; their needs are in good hands. Experience ~ With over 10 years practicing real estate, they’re experienced in virtually every aspect of residential sales and management. Their agents continuously participate in required and elective training. They are educated and versed regarding the ever changing marketing conditions, as well as practice traditional and creative marketing ideas. With ColumbiaLand Realty, you’re surrounded by professionals from our preferred lenders, inspectors and contractors, through the closing process and beyond.